Remember Kate Hudson in yellow for the party scene in How to Lose a Guy in 10 Days ? I think everyone of us wanted that dress and wanted to look THAT good in that dress. Looks like yellow for night is making a comeback- Follow the lead of these fashionable ladies and show how not so mellow yellow can be for holiday and New Year's Eve parties. oh yes I remember how much I loved it!! 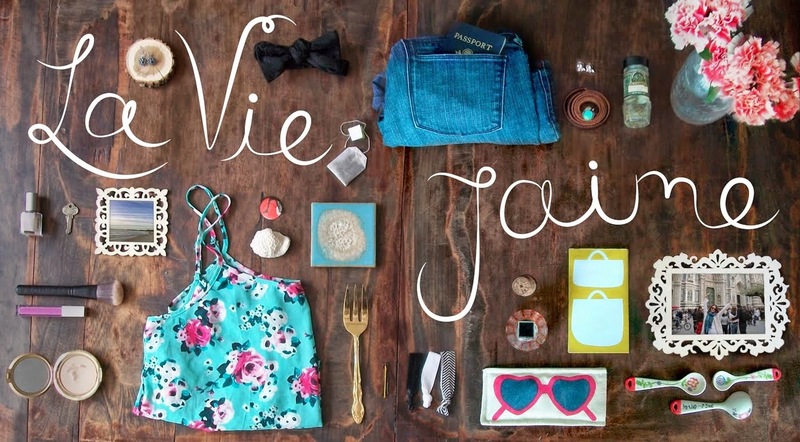 Jaime interesting that I do not normally think of yellow for the holidays....with these images I love it! 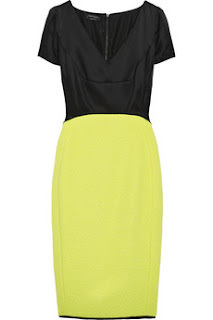 Love yellow, that last black and yellow dress is gorgeous! I'm all about this colour, you just need to make sure you get the right shade to go with your colouring! I've always loved that Kate Hudson dress. PS - invite only sample SALES on my post today - 96% off retail baby! Great finds! I loved that dress too. She looked stunning! I have a hard time wearing yellow, but the dresses look beautiful. 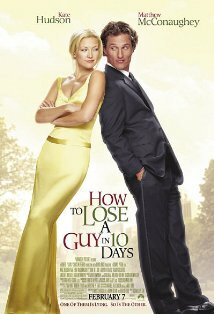 I completely agree about wanting Kate Hudson's yellow dress in How to Lose a Guy in 10 Days. She looked amazing in it! It's such a fun color! totally remember that dress and the isadora diamond. i can't get into wearing yellow in the winter for some reason - just seems out of place. I completely adore Kate Hudson in How to Lose a Guy in 10 Days, not to mention that incred yellow dress she wore. I was always secretly obsessed :) Yellow is one of my favorite colors to wear, although I never think to wear it over the holidays! 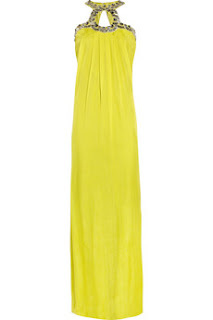 These yellow dresses look gorgeous! Kate Hudson looks especially fantastic! How could anyone forget Kate in that dress?! Amazing. And I of course love the Temperley dress...so gorge!! Have you seen the yellow Lanvin for H&M ruffled number? SO fab! Ps: I am hosting a stunning leather clutch GIVEAWAY today, just in time for Holiday Parties! I loved that dress on Kate! Classic. yup, great color! I saw a girl last weekend with a mustard coat n and I thought it was so cute. Funny thing with me is that I love yellow when I'm brunette but hate it when I'm blonde! I'm in the middle of transitioning from dark to light so I could probably still do it but once I'm blonde, I never wear it. Really pretty color though and you're right, a great idea for a holiday party. I adore yellow! well stated about kate hudson in how to loose a guy. I was so obsessed with that movie. Pretty adorable! Never bought a yellow dress for winter before... but why not let the sun shine all year along. I LOVE all of your picks, they are stunning!!! Wow, i would have never thought of choosing yellow, but you have made me change my mind. These are gorgeous! so cherry! i love this shade! haha you're right! we all wanted that yellow dress - and all wanted to look like THAT! these are some great picks, too. love it! yes!!! hilarious, everyone DID want that dress... and they bought it, too. people had it in every color of the rainbow, but i have to tell- kate killed it in that frock. she was so cute and pretty all at the same time. 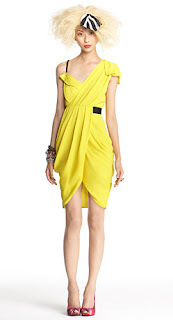 i'm in love with that rachel roy dress - hot! I cannot pull off yellow but i think Gwen and Kate in How to Lose a Guy in 10 Days look FAB! Since it's snowing outside right now, I love the idea of a sunny yellow.